Over the few weeks Korean media content has consistently found a way past the Hallyu ban that China has had in place for more than a year. Now that South Korea and China have publicly resolved a dispute over the missile defense system, the ban is virtually dead. Two significant events occurred the last two days of October. The first was a joint public statement by China and South Korea made on October 30. The statement announced that both countries had decided to resolve the year-long dispute concerning the Terminal High Altitude Area Defense System (THAAD) amicably. 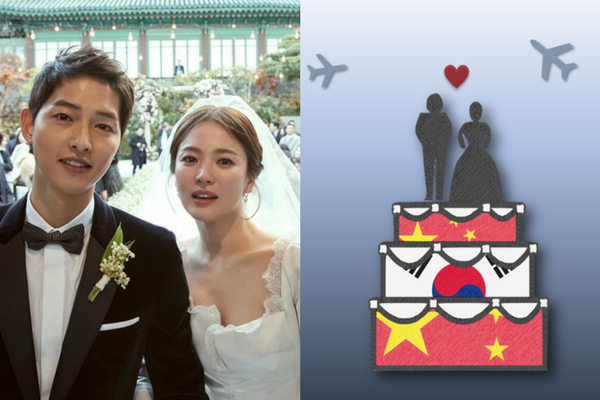 The second event, and arguably more important, is that Song Joong-ki and Song Hye-kyo got married on October 31. The marriage was significant, and not just because it fulfilled the dreams of fans and the couple alike. It was significant because of the illegal activity that took place at the wedding. During the wedding 2-3 drones were witnessed flying over the location of the wedding. 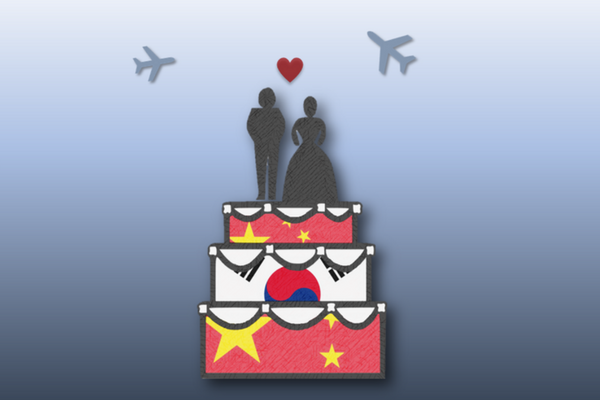 This is a big deal because the location of the wedding, Hotel Shilla, is within 8 kilometers of The Blue House (Cheongwadae). Any location within those 8 kilometers is considered an “A-level flight restricted area”. No one can use drones in this area without special permission. If a drone is used in this area without previous approval and clearance law breakers can be fined 2,000,000 Won (~2,000 USD). The drones live-streamed the event to millions of Chinese via Weibo, it was later discovered. Many Chinese media companies sent inquires to the Song Joong-ki and Song Hye-kyo’s respective agencies in the week before the weeding to film the ceremony. However, the requests were all denied. Notwithstanding failing to obtain permission from either the law or the couple, Chinese media still decided to use drones to film the wedding. The illegality of the drones usage and the clear violation of privacy is startling. But, what is even more startling is how much demand there was to see the wedding from China. The demand was high enough that a Chinese media company broke a very important law. The Hallyu ban has been in place since last year when it was confirmed that THAAD would be deployed. The ban affected the export of Korean cultural products including films, dramas, music, performances and more. Essentially, it was a form of economic boycott. A boycott declared by the government, but a boycott that some may not have wanted. Many in China still held an interest in Hallyu content while the ban was in place. This interest was demonstrated in Korean content seeping through the firewalls of the Chinese internet. The Song-Song weeding is evidence of this leakage of content; significant announcements about their relationship were made well into the ban. This included the initial confirmation of their relationship, their plans to marry, and when the would be married. Althought the Hallyu ban was definitely in place, there was a dedicated interest in their relationship which resulted in the events on their wedding day. However, interest in Korean content has not been limited to Song Joon-ki and Song Jye-gyo. People found a way to watch dramas, listen music, remain updated on their favorite Hallyu stars. It shouldn’t be that surprising considering that the Hallyu wave essentially started due to demand in China. This lasting demand coupled with the THAAD resolution announcement means one thing: the hallyu ban is dead.